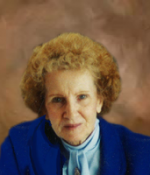 Remembering Virginia L. Scott | Remembering Virginia L. Scott | De Soto Obituary Search | Dietrich-Mothershead Funeral Home, Inc. Remembering Virginia L. Scott | De Soto Obituary Search | Dietrich-Mothershead Funeral Home, Inc.
Visitation: Thursday, April 4, 2019 from 10:00am until 11:30am at the Dietrich-Mothershead Funeral Home. Virginia Lee (aka Winnie, Jenny, Ginny) Scott was born in De Soto on November 27, 1928 a daughter of Cleveland Stone and Ethel Mae (nee Denny) Scott. 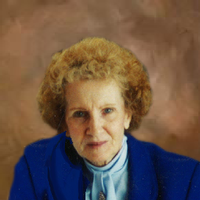 She resided in Clinton, Iowa from 1953 until 1958, Denver, CO from 1958 until 1978, Brighton, CO from 1978 until 2015 and Mountain Vista Care Center until her earthly sojourn ended March 28, 2019 just two days sooner than her husband Leo had 45 years earlier. While a book could be written of her life’s adventures and journey of faith, she was widely known for her yodeling, poetry quoting (especially limericks) natural piano playing, hospitality, entertaining, and outspokenness. She is survived by her son K.W. Cowin (DiAnne) of Brighton-Ft. Lupton, CO; her daughter Rhonda Diamond-Star (Fred Reinitz) of Grand Junction, CO; twin granddaughters Jennifer (David) and Mandy (Shawn) of Mt. Pleasant, MI; great-granddaughter Ashley (Christian), great-grandson Michael, her sister Nedra Courtaway (Joe) as well as numerous cousins, nieces, nephews, and friends. She is preceded in death by two husbands William L. Cowin and Roger Turner; five sisters: Neoma Wienberry, Gladys Osmundson, Myrtle Calvert, Iva McBroom, and Daisy Hobson; and one brother Frank “Red” Scott. As an expression of sympathy memorial donation may be made to: Chapel Hill Church of the Nazarene, 10 Chapel Hill Drive, Brighton CO 80607 or the Alzheimer’s Association of Colorado, 455 Sherman St., Suite 500, Denver, CO 80203.